Lawrence & Associates can protect you from abusive and threatening creditors. Creditors are notorious for using threats, intimidation tactics and false information in order to scare debtors into making payments. The truth is, regardless of your ability to pay, or what a creditor may claim, there are certain actions they cannot legally take. When you know the facts, you are in a better position to make decisions about your financial future and stop the abuse. According to the Fair Debt Collection Practices Act, creditors are prohibited from “abusive, deceptive and unfair debt collection practices.” If a creditor continues to violate these laws and harass you and your family, you may be able to bring a claim against them and sue for financial damages. Contact our Northern Kentucky creditor harassment lawyers at (513) 351-5997 to get started. Lawrence & Associates have handled creditor harassment cases in the past. 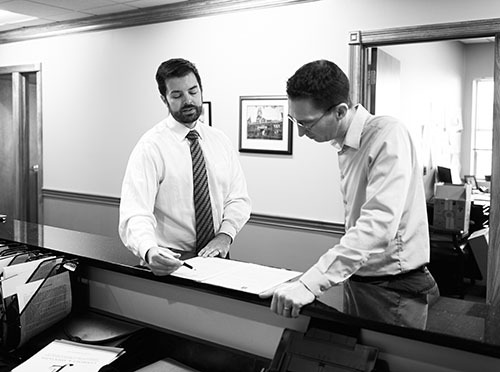 Lawrence & Associates will work to build a strong and successful case for you against creditors that are harassing you. Creditors are legally obligated to cease all contact and collection attempts once you have filed for bankruptcy. If they do not, you have the right to sue them. If you are being harassed by creditors, contact the Northern Kentucky bankruptcy attorneys of Lawrence & Associates for the help you need to put an end to it. Call (513) 351-5997 or contact us online.